Today is a big day for the Gilmore Girls: October 5th marks the 16th anniversary of the show premiering on the WB, all the way back in 2000. This day is also pretty important, because October 5th marks 50 days until A Year in the Life lands on Netflix (okay, fine, it’s really 51 days away, but let’s not even pretend that we’re not going to stay up till 11:59 p.m. on November 24th). In celebration of this day, Netflix has magically transformed over 200 coffee shops and cafes across the country into Luke’s Diner, and that’s some pretty amazing work. 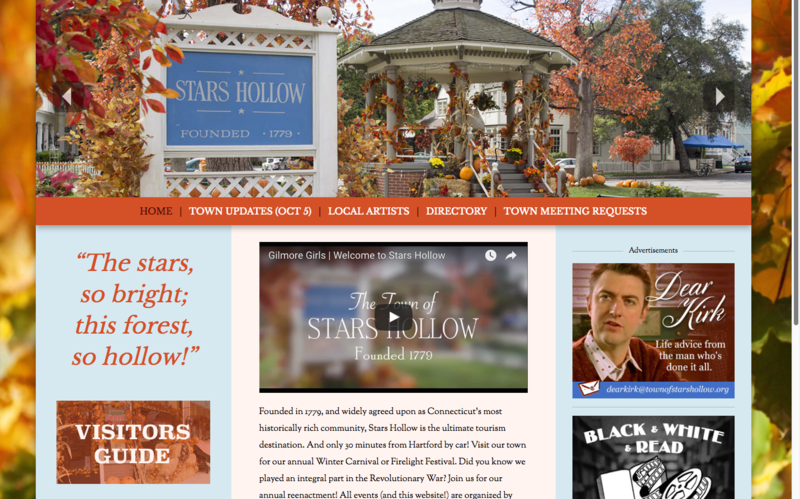 But if you want to see something even more amazing, you need to see the brand new, Kirk approved, Stars Hollow website. Okay, it's not really ~new~. Kirk lost the website password back in 2007, and only just found it again. The website sure feels like it was made with lots of love and care by a quaint little town in Connecticut, but really, it was done by Netflix, and they did it SO WELL. Clearly, this website is here to bring us the most up-to-date information about Gilmore Girls, but also to help those out there who might have not binged all seven seasons already and want to see what all the fuss is about. Poking around the website, you'll find descriptions of ALL the businesses in town, along with many Stars Hollow residents, too (and everything has been written with Kirk's known ~flair~ for the dramatics). There's also a very long Town Updates section, that runs through notable moments in Stars Hollow's history. Even more impressive, all these Town Updates directly correspond with the Gilmore Girls episode being discussed (yeah, we checked). There's also a spot where you can submit questions/concerns to be addressed at the next Town Hall Meeting, AND, you can e-mail Kirk (at the time of publication, he has still not replied to my email, but that's fine, he's probably very busy). So what are you waiting for? 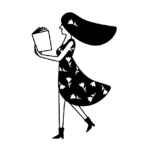 Run, don’t walk, over to the brand new TownofStarsHollow.org.